Small Soldiers slot machine puts an excellent new spin in the military theme seen every-so-often in slot machines. With the use of quality graphics and background music, along with unique and innovative special features and symbols, this is not a slot machine to miss. Where is your brain soldier?! You had better get your behind into gear and start marching with the other before I start deciding when you get to have a drink! Welcome to boot camp soldier. Are you ready for this? You’ll find it’s nothing like what you’ve seen in the movies. We don’t care how small we are, we train in the roughest terrain in the most extreme conditions to prepare for the worst circumstances. At least at BetOnSoft’s Small Soldiers slot machines you get paid well for the all the hard training. 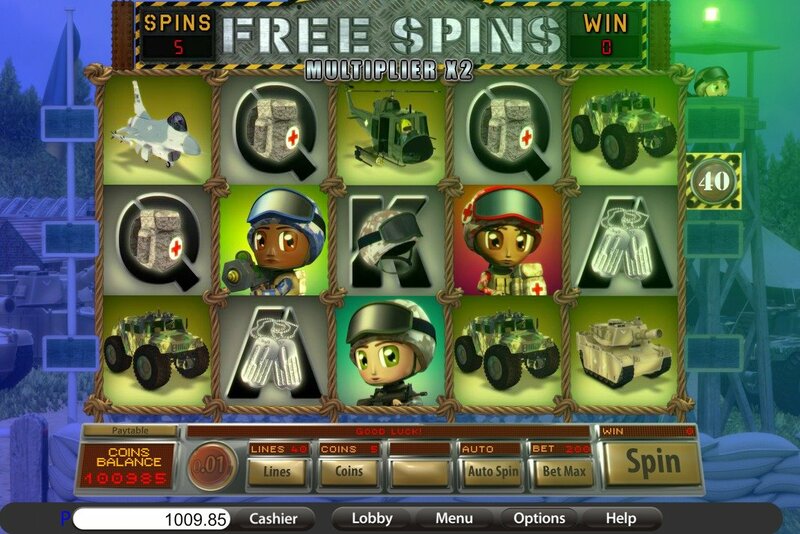 Produced by casino software experts at BetOnSoft, Small Soldiers slot machine displays the same level of quality in visuals and audio that online players have come to expect from the software provider. Game play is smooth and innovative with good quality animations and a detailed beckgraound that only timely effort could create. You may be a new recruit but all around you, the veterans are showing off their guns. Small Soldiers slot machine comes with the theme of… well, small soldiers. They look almost like Lego men, but they’re much tougher and have much better equipment. You may be a new recruit but all around you, the veterans are showing off their guns. From helicopters to heavy tanks, experienced medics and Humvee infantry, these are seasoned little warriors. 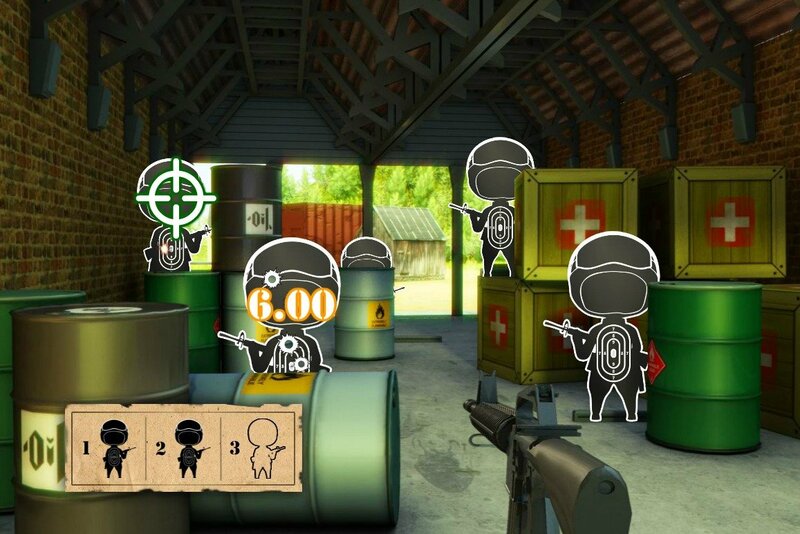 The drill sergeant wild symbol yells instructions through his megaphone while you run the obstacle course and pick up your equipment of helmets and canteens. The top of the food chain at Small Soldiers slot machine training camp however are the pilots and artillery. The expert pilots are the best of the best and give you free spins for big wins. 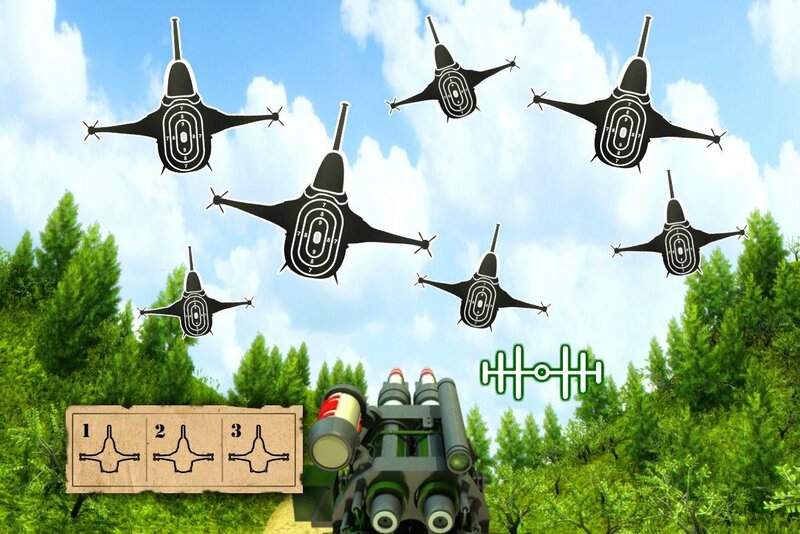 The heavy hitting artillery units trigger the Target Range Feature Game where you’ve got to shoot down all the targets for instant cash prizes.